Miso mixed with eggs yolks is intriguing enough. Top it with Spicy Seaweed Sprinkles and you'll be transported to a happy place! Place eggs in medium-sized pot. Cover with water. Bring to a boil over high heat. Reduce heat to medium and continue to boil for 20 minutes. Drain and cool. Cut eggs in half length-wise. Scoop out yolks into separate bowl. Reserve whites. Add remaining ingredients except the Sprinkles. Stir well to combine. Adjust seasoning. Fill reserved whites making a small mound on each. Top with your choice of Bonito or Spicy Sprinkles. A touch of the ocean is added to this tasty vegetarian/gluten-free appetizer. Heat oven to 400 degrees. Cut polenta log into 20 slices. Line cookie sheet with parchment paper. Arrange polenta slices on parchment paper. In a sauce pan, cook olive oil on medium high temperature for approximately 3 minutes. Add artichokes and brine, bring to a boil, cover and cook for 15 minute until artichokes are quite soft and most of the liquid has been cooked off. Add lemon juice, cheese, Kelp Purée and pepper; stir until well combined and cheese has melted. Remove from heat. Using an immersion blender, blend ingredients until a thick, smooth paste is obtained. Check for seasoning and adjust to taste. Spoon paste onto polenta rounds. Lightly sprinkle with grated cheese. Bake for approximately 20 minutes, until topping and edges are brown. Remove from tray immediately and let cool 5 minutes on wire rack. Serve while still warm. 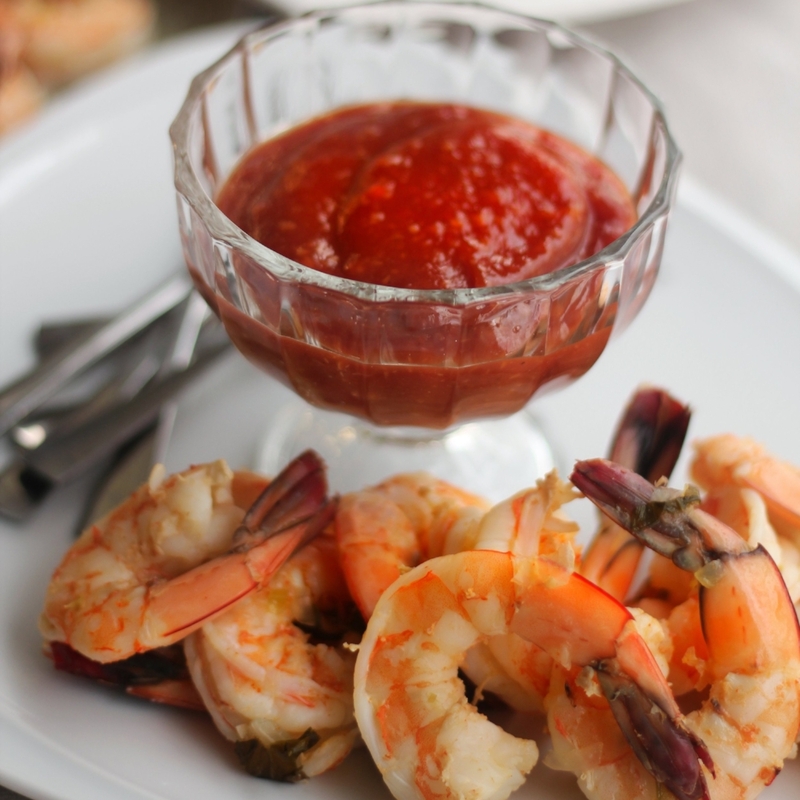 The umami of this sauce almost makes the shrimp an afterthought! Stir all ingredients together in a bowl. Adjust seasoning to taste. Chill at least one hour before serving. Serve with large boiled shrimp arranged decoratively around rim of bowl. Pairs with: Crisp white wine such as Sauvignon Blanc, Assyrtiko or Pinot Grigio.